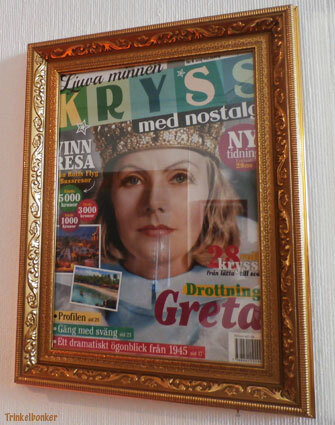 Pretty happy about the end result of me framing this Greta Garbo magazine cover. I knew when I bought this magazine (some time ago now, I did blog about it) that I would. The Garbo shot is just stunning, and “Queen Christina” (1933) is one of my all time favourite movies. When you are about to enter the TV room in my new place you are greeted by The Queen. Quite appropriate. I like the way the golden frame suits the crown she is wearing. This image was posted yesterday on the official Babymetal platforms. Yuimetal is gone and Moametal and Su-metal will carry on. In a sense, the second version of Babymetal has been operating since December 2017, and we even have a full concert DVD from Hiroshima out there. But for a long time nobody seems to have known what would happen, and my guess is that Yuimetal took the decision to leave fairly recently (maybe a couple of months ago – time will tell). They did exist in limbo for quite some time, not doing interviews or releasing pictures. They may well have a new album ready to go, and Yui is probably singing on that (again, we will know soon enough). The image of three members is strong so Babymetal has some serious thinking to do now, in that respect 2019 is going to be very interesting. Whatever happens next, this is far from over. Today is a day of tears for many fans of Babymetal as Yuimetal (Yui Mizuno) has officially left the group. In her official statement, published through the Amuse agency, she states (translated by Thomas Malone): “A message to my fans, I am truly sorry for the inconvenience I have caused so many people due to being absent for an extended period of time. 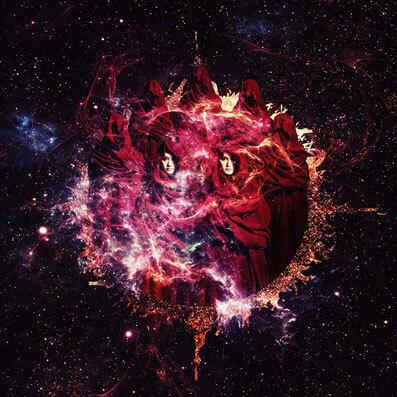 I have mulled over this over and over again but, I have decided to leave BABYMETAL at this time. I feel very sorry that my decision will disturb the other members and some many fans who have supported BABYMETAL. I am further terribly sorry to sadden the fans who have supported BABYMETAL. I had the strong desire to appear on stage again but my physical condition is not at its best even now, and further I feel that I would like to pursue my dream, one that I have had from a long time ago, of going on my own as Mizuno Yui. It is these factors that led to my decision. I am thankful for the numerous and precious experiences I was able to have being a part of BABYMETAL. I always felt day to day that I was truly blessed. The live shows where we all smiled together and became as One were truly happy and enjoyable times. I will do my utmost best to be able to again one day meet all of you as Mizuno Yui. Thank you from the bottom of my heart for the last 8-years. Mizuno Yui”. Babymetal has issued the following statement: “Thank you for continually supporting BABYMETAL. We would like to inform you of BABYMETAL’s new beginning which will be effective starting this month’s BABYMETAL WORLD TOUR 2018 in JAPAN performances. YUIMETAL had expressed her desire to return performing with the group in the following months after last December’s performance due health concerns. During her absence, both SU-METAL and MOAMETAL as well as the entire staff team had been preparing for her awaited return. However, YUIMETAL came to a decision that she will not be performing at BABYMETAL WORLD TOUR 2018 in JAPAN and that she will no longer be a part of BABYMETAL. We thank her for all of her contributions and wish her all the best in her future endeavours. This month’s BABYMETAL WORLD TOUR 2018 in JAPAN will mark the rebirth in which SU-METAL and MOAMETAL form the core of BABYMETAL. We would like to express our deepest gratitude to the fans for the continued support and look forward in what’s next for BABYMETAL”. In a strange twist of fate, today also saw the release of a new video for a song called “Starlight”. The video is obviously a “cousin” to the “Distortion” video that we saw back in May (over 5,000,000 hits as we speak), and again the girls in Babymetal is not to be seen (save for a few seconds at the very end and then it is eyes only. It is highly likely that Yui is singing on it though, if her decision to leave came up recently. I feel sad for losing the original Babymetal (a wonderful chapter in music history), but it is what it is and I wish Yui and Babymetal all the best in their future endeavours. Well I stumbled across a nice story today that should be on this blog. In 1971 (on September 27 to be exact), the mighty Led Zeppelin touched down in Hiroshima for a concert at the Shiei Taikukan Hall (Prefectural Gymnasium) and they gave the profits to the City of Hiroshima (7,000,000 Yen) that were later used to help build a music school. As we all know, Hiroshima had been devestated by an atom bomb at the very end of WWII and Led Zeppelin wanted to do something to promote peace. This school later had a student that (in time) would have a daughter that became rather famous, a young man that had (in his day) tried his luck in a Punk band called The Hooligans, and whom has since seen his daughter perform alongside one of his favourite bands, Guns N´ Roses. She is Suzuka Nakamoto, Su-metal of Babymetal fame, born and bred in Hiroshima. The connection may be small, but it is there and I think it is a wonderful twist in this musical universe of ours that this has happened. Friends of Led Zeppelin will know of this day, and the concert bootleg “Live Peace In Hiroshima 1971”. 40 years ago this month, Whitesnake released the first official full fledged album, “Trouble”. It was the first release to feature Jon Lord (counting the early singles), who came in late in the recording process and added his bit on top of what was basically a finished product. It sported two covers, the white one was seen in most markets and the “desert” cover came out in the US. They still had to figure out a good logo for the band to sell t-shirts etc but they had that in place by the time of the second album. “Trouble” has a heavy touch to it that they soon lost in the studio, but all the classic hallmarks of early Whitesnake (including some pretty daring lyrics) were in place. Not a bad return to the scene, but they had to work hard for some time for the band to really succeed. In America, it would take longer than anywhere else. 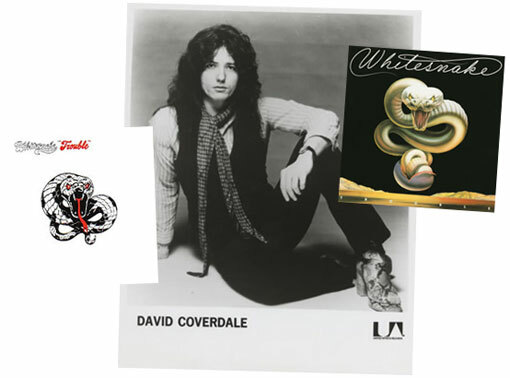 Seen here is a publicity shot of David Coverdale that United Artists sent out in the US. This US compilation was issued by Warner Bros Records 40 years ago this month. Deep Purple had split up in 1976 and I guess they figured they needed something to cash in on what had been. I always liked the logotype and the Sci-Fi styled cover art (by Shusei Nagaoka), perhaps picked because of the song “Space Trucking” from “Machine Head” (the actual opening track)? After this, the label pretty much mishandled the legacy of Purple over there, which is a shame. “When We Rock, We Rock And When We Roll, We Roll” was a pretty good title though, I will give them that.